Tendonitis is one of the most painful and mobility restricting conditions which is most common in the upper shoulder and lower part of the elbow, although it can also occur in the wrist and ankle. Tendons are the tight, band-like structures that connect muscles to bone. They come in various sizes throughout the body. When the muscle contracts, the tendon is vigorously pulled. When functioning normally, these tendons glide easily and smoothly as the muscle contracts. But if the normal smooth gliding motion of the tendon is impaired, tendonitis is usually the result. Tendonitis occurs when tendons become swollen and irritated due to a buildup of calcium. This can severely compromise one's range of movement and cause pain and stiffness in the affected area. It can also be accompanied by a burning sensation that surrounds the joint around the inflamed tendon, and in some cases swelling, thickening and redness may occur. Tendons become inflamed for a number of reasons, most often the result of overuse, such as continuous vigorous exercise or even prolonged recreational activity, such as gardening or other yard work. While most common in people between the age of 40 and 60, tendonitis is not an exclusive condition and can affect anyone who is involved in an ongoing strenuous physical activity. There are a number of treatments that can be prescribed for tendonitis, including anti-inflammatory medications, traditional physiotherapy, steroid injections and, in severe cases, surgery. However, many of these treatments do not guarantee results and run the risk of troublesome side-effects. One of the more recent and successful treatments has been Extracorporeal Shockwave Therapy, which has become an increasingly popular alternative to surgery or prescription drugs. Extracorporeal Shockwave Therapy (ESWT) was originally used as a procedure to treat kidney stones, but its effectiveness has resulted in its re-development for the use in treating chronic tendon conditions. 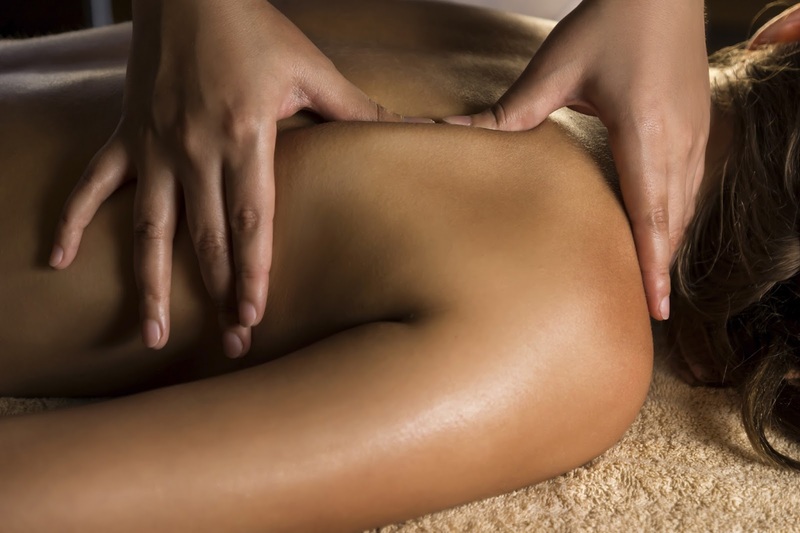 Here at Academy Massage we have utilized this treatment to positive results. A probe is placed onto the affected area and shockwaves are delivered through the skin. The shockwaves are felt as pulses which may feel slightly uncomfortable but are not painful. These impulses promote the increase of blood circulation and release essential nutrients which help to repair the injured tissue. The treatment is performed in our clinic by a trained and qualified practitioner and, as it is a painless procedure, does not require any type of sedation or anesthetic. While it varies with each patient, many experience an improvement in symptoms almost immediately. With continued regular treatment patients will find significant or total pain relief and increased mobility which will allow them to enjoy their normal activities. What is Plantar Fascia, and How Can Shockwave Therapy Help? Plantar fasciitis is the abnormal inflammation of the plantar fascia, which is the fibrous connective tissue located on the underside of the foot. The plantar fascia supports about 14 per cent of the total load in each foot and acts like a spring to conserve and disperse energy. During normal walking the increased tension in the plantar fascia increases the foot stiffness and allows for the comfortable forward motion of the feet. Plantar fasciitis is a common but painful disorder affecting a large number of Canadians. The condition not only affects the underside of the foot but also the heel, resulting in extreme discomfort especially when pressure is put on the foot. Its cause can range from athletic overuse (specifically high impact running), standing for extended periods, obesity or age. Complications can arise if the planter fascia continues to be overused during the period of planter fasciitis, in which case the planter fascia has the potential to rupture, causing swelling and severe pain in the sole of the foot. Surgery has been the last resort for patients when other treatments such as anti-inflammatory drugs or corticosteroid injections do not prove effective. However, surgery has not always been effective in treating plantar fasciitis, and there is always the risk of post-surgery complications and side-effects. At Academy Massage we have found that Extracorporeal Shockwave Therapy (ESWT) has yielded beneficial results for those clients suffering from planter fasciitis, aiding in promoting healing and the reduction of discomfort. Since the patient receives the treatment extracorporeally (outside the body) there is no need for invasive surgery, thus providing a low risk procedure with a faster recovery time. As well, the treatment minimizes the side effects from the treatment itself. Before beginning ESWT our qualified therapists will carefully assess the condition to understand the history so that treatments can be properly furnished to the patient’s needs and symptoms. The procedure itself is simple. It is performed in our clinic and is completed in a relatively short period of time, usually between fifteen to thirty minutes. The therapy works by a probe targeting thousands of shock waves directly to the area that is experiencing pain, thus promoting increased blood flow and stimulating and propelling the necessary body nutrients that are vital to healing. Following subsequent treatments there will be a noticeable improvement in symptoms leading to significant reduction in the original pain. The other good news is that most patients had successful results with only one treatment of ESWT. It has been recognized by practitioners and patients alike as a breakthrough treatment that can make common problems like heel pain virtually obsolete. Many people with chronic pain problems including shoulder pain, tennis elbow, golfer’s elbow, hip and groin pain and many other musculoskeletal issues. are turning to ESWT to find relief from their discomfort. Our clients' care is paramount. We strongly advise that if you are suffering from chronic pain that you arrange an appointment to consult with one of our therapists so that a proper treatment program can be started immediately to alleviate your distress and prevent further injury.